With several developing areas in Lebanon still lacking consistent electrical grid power supply, independent fuel-powered engine generators have become increasingly crucial to fill the subsequent energy gap. 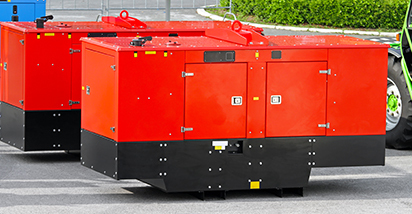 Generator sets are individual units that supply electrical power for various uses: as backup power for shops, restaurants, offices, farms; for residential use and with outdoor activities; as well as to power various social activities and centres. RELIABLE – LPG does not degrade over time and no stabilizers are needed, so the fuel can be stored indefinitely (in tanks and cylinders). LPG Generators also offer higher durability and are consumer friendly. ECONOMICAL – LPG is more efficient and, in most places, less expensive than gasoline. VERSATILE – LPG generators are simple to use and multipurpose in function. SAFE– Owners are not required to handle the filling and refueling; therefore, there are fewer opportunities for fire hazards with a LPG generator. When your LPG generator is out of fuel, simply replace the cylinder with a new cylinder of LPG and reconnect to your generator. Our generators are imported from France and the USA. Ideal for households, they combine power, performance, and safety.